Toolbox to ensure control of the details to fulfill system requirements. The presentation will provide a broad overview of which tools and processes FMC uses in a project to ensure that all technical requirements are understood and communicated to the project organization and subcontractors, how the maturity of the technology and technical solutions are assessed and quantified to form the background for establishing the technology qualification program, how to ensure quality outcome from engineering in all phases of the projects and the importance of verification testing prior to delivery of the products. The presentation will use examples from the words largest subsea project, the Angola block 17 Pazflor project. Tom Eddy Johansen is Cheif Engineer Total Projects at FMC Technologies. He has 30 years of experience from the Subsea industry related to engineering, engineering management and project management. Modern state-of-the-art missiles are highly sophisticated and involves a number of engineering disiplines. The presentation will focus on the complex relationships between the disiplines and systems engineering in an early stage of the development. Examples will be given to show how top level requirements spread down to the design of sub-systems and the complexity of the work in a system design phase. Furthermore, examples of prototype testing to achieve technical confidence in the system will be given. Alf Gudleik Dale has a master degree in mechanical engineering from The Norwegian Institute of Technology. He has over 20 years experience from development and management of missile projects. He is a senior system engineer in Kongsberg Defence Systems and currently holds the position as project manager for the norwegian Joint Strike Missile. Gaming and immersive virtual environments provide a new way to engage stakeholders during early stages of Systems Engineering lifecycle to help them reach a common mental model of the concept of operations. A weak link in the Systems Engineering lifecycle is often the connection between what the users need and what the system developers think the users need, together with a shared understanding of the operational environment and associated constraints and dependencies. The current system development environment calls for user needs to be specified in a Concept of Operations (CONOPS) document, which provides a foundation of future system capabilities and describes typical scenarios that it will encounter. Given the size and complexity of today’s systems, CONOPS development can take considerable time and effort, which can cause its production to be incomplete and insufficient. This introduces misunderstanding and miscommunication early in the Systems Engineering lifecycle. This talk will cover research underway to improve this shared understanding through the fusion of 3D gaming technology and Storyboarding. optimizing the reliability and total cost of harvesting energy from oceans. resources of ocean waves in an effective way. areas, including system design and engineering. What devilish detail might kill your grand design? An example of connecting breadth and depth. - to help “helicopter pilots” to see details that must be taken into account. At the end of the event we will discuss an example from the logistics world, a warehouse, to see how a systems engineer can make such connection. Gerrit Muller, originally from the Netherlands, received his Master’s degree in physics from the University of Amsterdam in 1979. He worked from 1980 until 1997 at Philips Medical Systems as a system architect, followed by two years at ASML as a manager of systems engineering, returning to Philips (Research) in 1999. Since 2003 he has worked as a senior research fellow at the Embedded Systems Institute in Eindhoven, focusing on developing system architecture methods and the education of new system architects, receiving his doctorate in 2004. In January 2008 he became a full professor of systems engineering at Buskerud University College in Kongsberg, Norway. Narrow but shallow, an unfortunate combination. Development of advanced technology products requires both deep skills in key technology disciplines and broad multidisciplinary knowledge at a system level. What happens when one or both are missing? This presentation discusses a project were narrow systems engineering and lacking depth in key disciplines resulted in a failure to meet important requirements. When these short-comings were remedied, the follow-on project was voted “Technology Feat of The Year” in 2007 by the readers of engineering weekly Teknisk Ukeblad. Haldor husby earned the degree Master of Science from the Norwegian University of Science and Technology (NTNU) and Master of Applied Science from the University of Toronto (UofT), both in electronics. He began his career as a research scientist with NTNU, and has since acquired 20 years of industry experience in electronics production and design. He has developed particular competency in the areas of High-speed design, design for Electromagnetic Compatibility (EMC) and noise control. He is currently Principal Engineer with Data Respons in Kongsberg. System design is all about information, information processing and information creation. A particular theme is uncertain and incomplete information. It is a challenge to create coherent and competitive products despite lack of information and scattered information. The system engineering process has evolved into an established way of working. Tools support the process. A third pillar are ways of thinking. The balance between process, tools and thinking; several thinking tracks and the importance of communication are treated. Some of the thinking tracks will be illustrated with examples from developing a solar race car. Dr. Maarten Bonnema is Assistant Professor at the University of Twente in the Netherlands. 1. Creation of High-level models: Creating a simple to use language that is understood by all disciplines involved. 2. Condensing information: We have observed that in contrast to the general idea, expert designers do not use models that are as complete as possible. They use models that are as simple as possible. 3. Combining model types: As each discipline has its own set of frequently used models, it is necessary to investigate a way of connecting these models. Eton is a bachelor student at HiBu studying electrical and computer engineering of the class of 2013. He has worked as a field officer and international youth delegate with national Red Cross Societies of Jamaica and Norway 2002-2004. Served as the national president of the International Students Union of Norway 2005-2007. Kongsberg is the home of a wide variety of industries depending on Systems Engineering for their operations. Since 2006 we have organized an annual event to facilitate cross-fertilization between practitioners. The event hosts some world-class speakers and (SE) leaders from more local companies. The annual Kongsberg Systems Engineering Event (KSEE) collects a diverse set of experiences from different companies and domains to allow all to learn from the experiences from others. 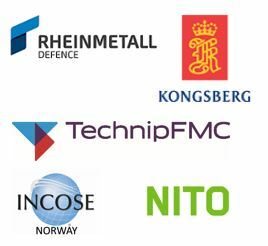 It is also a great opportunity to network with colleagues in and around Kongsberg. There will be great presentations, delicious food and lots of networking. The KSEE Steering Committee, an active group of your colleagues as well HiBu professor Gerrit Muller and HiBu student Eton Williams, have worked hard to create an interesting program. KSEE 2012 was recently profiled by a local journalist. Last day to sign up is Thursday 7 June.